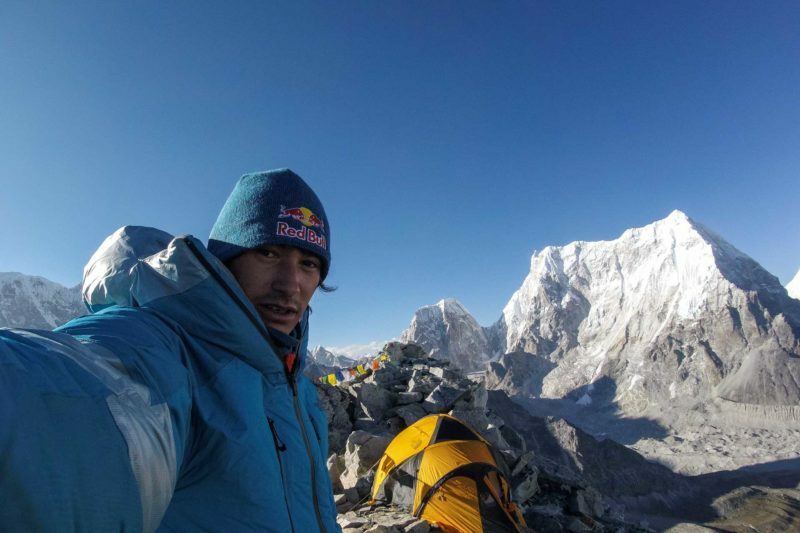 David Lama (1990 – 2019) was considered one of the world’s cutting edge alpinists. He also was one of the most gifted climbers already at the tender age of 15. After quitting the climbing competition circuit, having won everything there is to win, this Tyrolean with Nepalese roots caused a sensation in January of 2012: he free-climbed Patagonia’s fabled granite needle Cerro Torre, via the infamous Compressor Route. As all stars aligned for David, he and his partner Peter Ortner set out to scale Trango Tower (6,251 metres) via the route Eternal Flame and the mysteriously misty Chogolisa (7,665 metres) in Pakistan’s Karakoram Range. I caught up with David in the autumn of 2012 to ask him about his latest expedition beyond the clouds. 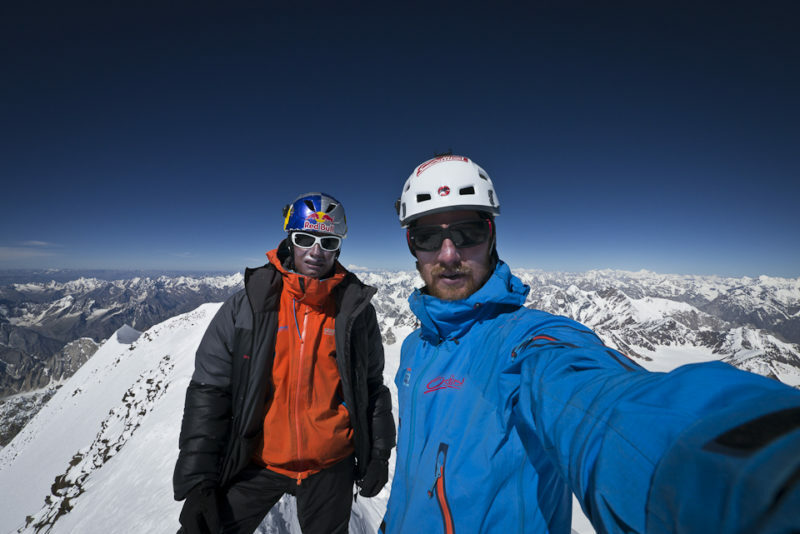 Last year you were in the Indian Himalayas with fellow climbers Stef Siegrist and Denis Burdet. How did this trip to Pakistan’s Baltoro Glacier compare with your previous expedition? 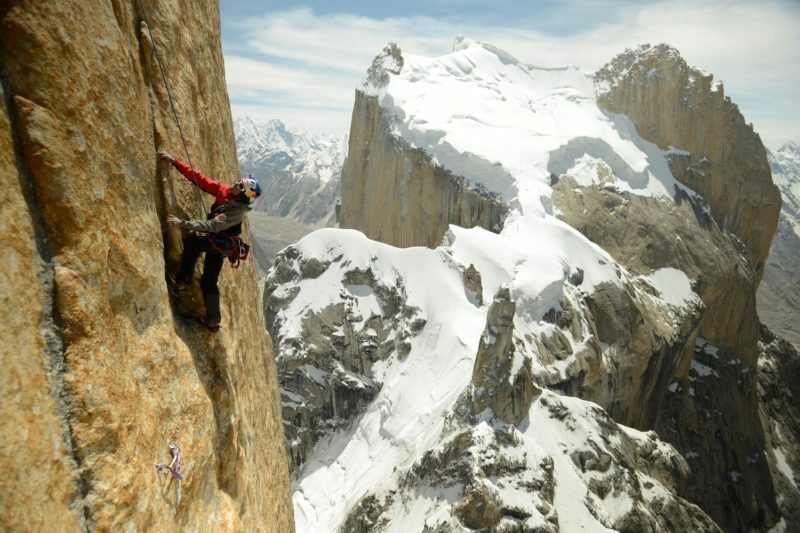 David Lama: When we climbed Cerro Kishtwar in India we had to trek for three days through a deserted valley. Because of the border disputes between Pakistan and India, the area was closed for 20 years and has only recently been reopened. This trip to the Baltoro Glacier also took us into uninhabited territory. The last village we entered on the expedition through Pakistan was Askole, that’s about 3,000 metres high and from there we had a three-hour trek to the glacier. 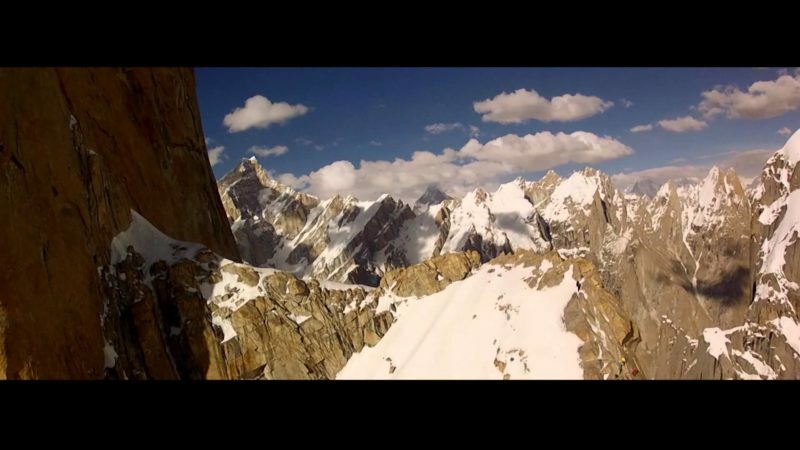 Your first goal in the Karakoram Mountains was the Trango Group. Were you by yourselves on the steep walls of these famous mountains? The Trango Group is not very accessible, so there were no trekking groups around when we got there. However, there were a lot of other mountaineering teams from all over the world. Who were your climbing partners on this expedition? I travelled with Peter Ortner for the entire durance of the trip – we had scaled Cerro Torre free in Patagonia together earlier this year. I also have to acknowledge the contribution of the three-man film crew who followed us up to the Trango Group: cameraman Corey Rich, Andrew Peacock and Remo Masina. How did the group deal with the challenges of acclimatising to the extreme altitude? Generally speaking: really well. On Peter’s and my first ascent of the Trango Monk, we were a few hundred metres below the summit but had to turn back because we were not yet fully acclimatised. It was especially tough for Peter because this was his first expedition to a really high mountain. A few days after that, we started to scale Great Trango and again we had to turn around near to the summit. This time it was because of avalanches rather than altitude sickness. Lots of snow and ice from the last harsh winter in the wall’s cracks and a sudden spell of warm weather could have turned into a substantial source of danger for us. And then your attention turned to the “Eternal Flame” route to scale the Nameless “Trango” Tower (6,251 metres)? It took us one day to reach the ‘sun terrasse’ after 400 meters in grade 8. There we set up camp and continued the next day, June 30th. We needed 10 more hours to complete the final 600 metres to the summit. Despite all those other teams in the wall, climbing the Eternal Flame route is one of the best things I’ve ever done. After the Nameless Tower, your next mission was Chogolisa (7,668 metres). Did you spend time thinking about mountaineering legend Hermann Buhl who lost his life on the peak in 1957? Hermann Buhl is a name I know and respect but I’m always trying to do things in my own way rather than follow in anybody else’s footsteps. We didn’t hike up Chogolisa with the intention to brag that we went beyond the 7,000-meter mark, we wanted to experience how our bodies would feel and function at that altitude. Peter and I are not at all about records or about making it to the top of Everest by any given means. Still, we need altitude experience for future climbing projects of ours. What can you tell us about your expedition to the summit of Chogolisa? Chogolisa was a damn tough hike. In some sections, we were moving through snow that was waist-deep, so this slowed things down a lot. Then, when you pass 7,000 metres every step becomes a massive effort. Some locals gave us a tip that we should hunt an ibex because eating their flesh helps with the altitude sickness. I’m not sure about this theory and we didn’t get the chance to test it because we were unable to catch one with our bare hands! Additionally, you have to deal with horrible weather conditions: Out of 18 days in our base camp on the Vigne Glacier it snowed or rained for 14! Chogolisa may not be the toughest climb technically but we were very proud when we finally made it to the top. We were the first ones since 1986. Will you be returning to the Karakoram? Peter and I already have one other peak targeted that we would like to go back to and scale. 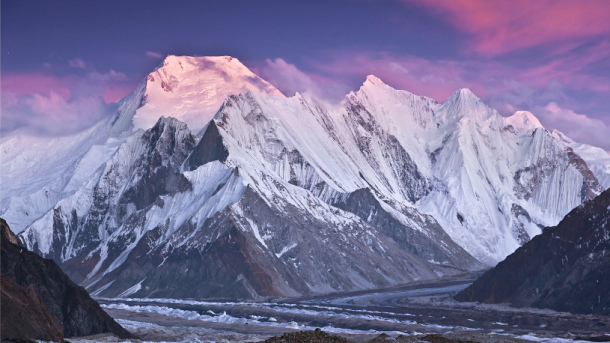 The Himalayas are just one huge playground for climbers. I love the freedom of choosing routes up the walls because there are so many options you can take. I don’t pay too much attention to the historical significance of a summit. Basically, a mountain is just a pile of rocks and stones; it isn’t gorgeous or wild or dangerous by itself, it is so because we humans regard it with such significance. It is all connected with us. This interview appeared in different form at redbull.com in 2012. Update, 2019. In the afternoon of Tuesday, April 16th, David Lama, Hansjörg Auer and Jess Roskelley perished in a series of avalanches underneath the East Face of Howse Peak, in the Canadian Rockies. They either were the first team to repeat the M16, or they first-ascended a previously unclimbed variation of it, which Steve House has called King Line; both are highly technical routes up one of the gnarliest rock- and ice-faces on the North American continent. David, Hansjörg and Jess had topped out in high spirits around noontime, as a selfie on Jess’ phone suggests, and then abseiled over the same face. As they were leaving the danger zone at the foot of the wall, they were buried by level-3 snowslides, equivalent to thousands of tons of snow and ice. According to Parks Canada, it took the search team five days to recover their bodies, due to fog and snowfall. All three men were on the global The North Face Athlete Team, and among the world’s premier alpinists. Hansjörg was an exceptional person, who had to endure much hardship in his childhood, being ridiculed by classmates for his big teeth and long bones. He sought his solace in the mountains and learned to harness self-sufficiency and solitude, to become one of the most astonishing free soloists of our days. His free solo ascent of ‘Weg durch den Fisch’ (IX-) through Marmolada’s South Face is one of the all-time highlights of climbing history. Hansjörg realised daunting projects in Patagonia and Pakistan – especially his solo ascent of Lupghar Sar West (7200 m) was a masterpiece in pure Alpine style. He was an honorary member of the Paul Preuss Society. Reinhold Messner called him “his darling” among the up and coming mountaineers. I didn’t know Jess, but I had heard of his achievements in Alaska and in the Himalayas. The three alpinists were, as Conrad Anker has called them on Instagram, ‘a solid team’. I had arranged an interview with Hansjörg for a few Outdoors magazines a few weeks prior. At the beginning of April, he postponed our meeting to the week after Easter because of ‘a climbing trip to Canada’, and wrote that he was looking forward to the conversation after he would be back. He never would. 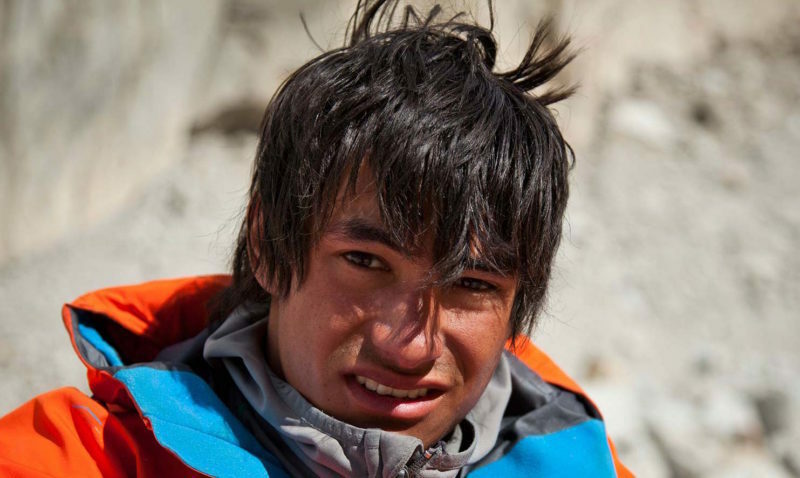 David Lama was one of the most together people I have encountered. He was just all round lovely as a human being: shy and humble, yet shining with self-confidence and an immaculate presence. He could also swear in Tyrolean and be a cheeky rascal like nobody’s business. As a climber, he was a wunderkind, discovered at the age of five by Peter Habeler. Competing as a young teenager in several classes of the Climbing World Cup series, he became multiple Junior World Champion and won everything there is to win until he got bored with indoor championships. His excellence as an alpinist opened new horizons in mountaineering. He established a half dozen difficult routes in the walls and crags of the Alps, but his name will forever be connected to Cerro Torre in Patagonia, where he free climbed the famous granite needle’s SE-Ridge along the Compressor Route in January 2012, together with Peter Ortner. David’s solo first ascent of Lunag Ri (6907 m) in Nepal, his father’s home country, was his Himalayan masterpiece. In the Khumbu, he also climbed Cholatse and Ama Dablam. In the Karakoram, he repeated the Albert/Güllich route Eternal Flame on Trango Tower and reached the highest point of Chogolisa’s heavenly roof. I knew and respected David and worked with him as an editor on his blog for Red Bull’s website. Every couple of months or weeks between the summer of 2007 and the fall of 2012, I would meet or call him at some competition in France, Russia, or China, or later on, on expeditions to India, Chile, the Karakoram, Alaska, or God knows where else. I must have interviewed him at least 30 times. I had to read up on those fascinating landscapes and mountain ranges, as well as on the technical terminology and history of alpinism and discovered a fascinating field of knowledge through David’s projects: tracing a global subculture with its own rules and ethics. The setting of these adventures: the planet’s highest and most beautiful mountain ranges in all their glory! Among my many other obligations at Red Bull, this was one of the dream gigs for me. I looked forward to these calls and getting the lowdown from David, which I would then fashion into a written account in the first person singular and send back to him for authorisation. He always approved and was a pleasure to speak with, polite and generous. Until one day I talked to him on a crackling phone line after his expedition to the Karakoram in late summer of 2012 (see interview above). I wasn’t quite present, as I was going through a personal rough time. In the intro to the blog, I presumed that David had managed to climb Trango Tower’s difficult Eternal Flame route in free climbing style. I had found verification on two American climbing blogs. Instead of calling the man himself back one more time to clarify, I relied on these ‘insider’ threads, which turned out to be ‘fake news’. It was a mistake that I regret to this day. David was rightfully upset and let me know through his manager Florian Klingler at Red Bull Athletes Special Projects, that he couldn’t recognise his own words. The blog never went public in its original form, but I had breached David’s trust. The proper climbing analogy to this would be that I had been belying David and dropped him. Not to the ground, but at least for a few unpleasant meters. You wouldn’t trust someone in climbing after such a mishap, would you? Neither did David. He had just been through a huge media shitstorm after his first Cerro Torre expedition, and now someone in his circle of publicists was claiming feats that he never even set out for on Trango Tower. Realising my sloppiness, I immediately apologised. David accepted, saying, we shouldn’t make a drama out it; there would be more mountains in the future to talk about. As I soon found out, not with me. David began ghosting me. I got replaced like a faulty carabiner from his bag of tools. Knowing that it had been my error, I never held a grudge against David, but naturally, I continued to follow his adventures in alpinism from a distance, out of a passion for far and wild places and because of professional reasons. They were great adventures, filmed, photographed and documented in guerrilla style, with helmet cameras, small media teams and drones. Just months prior to the fatal Canada trip, David had joined The North Face team. 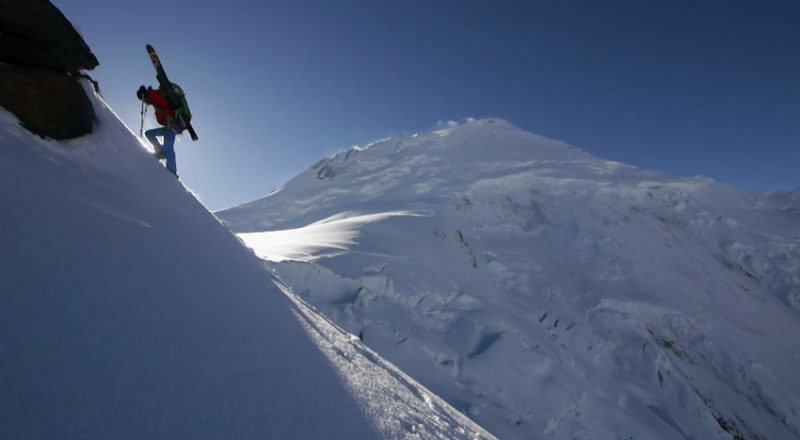 Many people in the small mountaineering tribe around the globe were expecting exciting expeditions and collaborations between David and Jimmy Chin, Renan Ozturk, Emily Harrington, Alex Honnold, Hilaree Nelson or Mark Synnott. I guess the teaming up with Jess Roskelley to climb classic routes up frozen faces in the Rockies, like Andromeda Strain on Mt. Andromeda, Nemesis on the Stanley Headwall and M16 on Howse Peak was meant as an overture for future projects. Considering the obvious objective dangers of such projects, I secretly try to prepare for bad news, as we got them in the last days. One day, the message will come in. I just wish David would have had at least 15 to 20 more years to realise his big Himalayan dreams and to grow into an elder statesman of climbing: a mentor, a teacher – a Lama. He could have become a worldwide legend of sports like Muhammad Ali, Pelé or Bruce Lee. He had it in him. But in a strange way, his short life seems fulfilled and perfectly rounded. He was like a shooting star that momentarily lights the way, then vanishes. 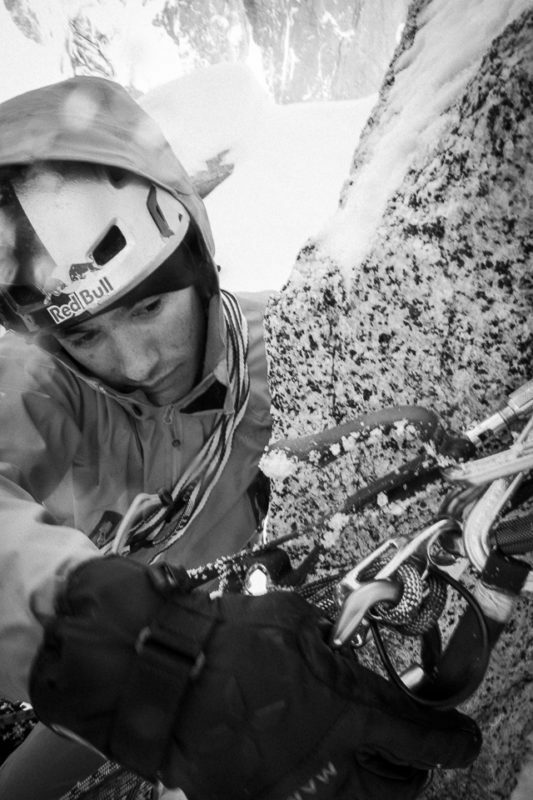 There was something of an old soul in David Lama, in spite of his youthful demeanour. He had wisdom beyond his years. They say, his grandfather had been a Tibetan lama (hence the family name), who had settled down to have a family in the Solu Khumbu after the Chinese occupation of his home country. David’s father, a trekking guide from Phaplu, and his mother, a kind and caring children’s nurse from Innsbruck did a perfect job of raising him and encouraging him to follow the call of the mountains. David Lama’s inner calm, his infectious smile, his mischievous humour, and his clarity of assessment will be so sorely missed. David Lama on Fox Peak, Lunag Glacier / Nepal, 2018. My heart goes out to David’s parents, Claudia and Rinzi Lama, as well as to the Auer and Roskelley families. May their sons be in a good and bright place now.